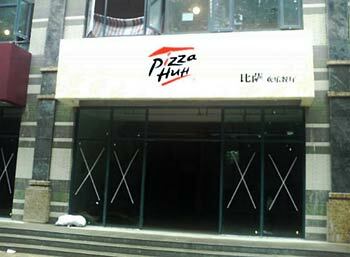 There’s some debate as to whether this is actually a mall filled with reproduced fakes for sale — the kind of stuff you can already find in China as it is — or just a publicity stunt meant to spark interest in the plaza. After doing some investigation, I tend to believe it’s the latter. 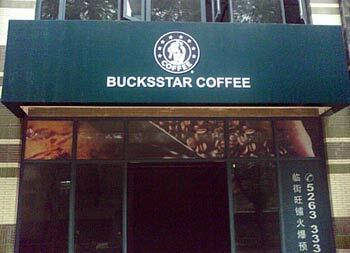 There’s no denying the hilarity of these photos, though. 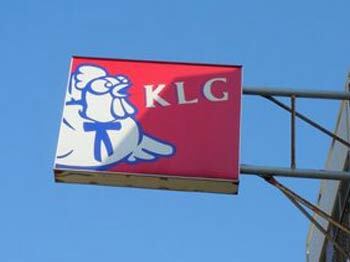 I particularly like the “KLG” restaurant whose sign depicts a fat chicken wearing a Colonel Sanders string tie. 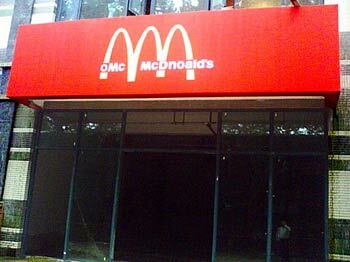 At first I thought those letters on the left were 'OMG'.